Providing new and improved services for citizens through ERP-led government transformation. Getting significant value from enterprise resource planning (ERP) systems requires shifting from piecemeal efficiency to operationally excellent public service administration. This means active governance through prioritization, performance management, and leveraging the scale of government and existing assets. Accenture Enterprise Services for Government enables public service organizations to maximize the value from their ERP systems by aligning government administration processes to drive efficiencies and deliver public services for the future. The service provides process-led, preconfigured government enterprise solutions coupled with a flexible commercial and technology model, including public cloud or traditional on-site data center. Accenture’s approach emphasizes optimizing business processes for achieving outcome-oriented governance. This means worrying less about the technical fit with any ERP system and focusing more on assessing how a business process should ideally evolve to bring sustained value to the organization. Process-led ERP built for public service-specific processes enables government shared services and cross-jurisdiction collaboration solutions focused on back-office functions, such as human resources, payroll, finance and procurement. This allows staff to concentrate on front-line business initiatives. With Accenture Enterprise Services for Government, public service organizations can achieve faster implementation results and drive new forms of cost reduction and government transformation. Accenture Government Enterprise Services link Accenture High Performance Business Research with industry-leading business processes to major ERP software solutions. This approach provides essential building blocks and implementation accelerators that are different from the traditional ERP execution. Instead of a complex, customized implementation, organizations can get 80 percent of back-office commodity processes out of the box and the other 20 percent tailored to their organization’s specific business needs, often cutting implementation time in half. This approach also allows organizations to optimize their most value-driven processes while realizing faster implementation results. These processes–combined with new technologies–drive efficiencies to bring improved government transformation outcomes. The service also drives new forms of cost reduction, not just in implementation, but also in cost avoidance opportunities related to day-to-day operations. Cost reduction is accomplished through the simplification and standardization made possible by optimized business processes. In addition, government organizations can also reduce costs by using next-generation ERP systems as engines of cross-jurisdiction collaboration, supporting multiple agencies with common business requirements. 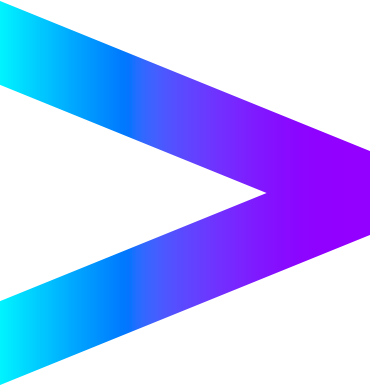 At the foundation of Accenture’s Enterprise Services for Government are a suite of differentiated, world-class government transformation enterprise solutions, including traditional, managed or software-as-a-service ERP. Public service business process management services are available for core back-office functions, including finance, human resources, procurement and payroll. The service also provides public service strategy solutions to enable shared service assessment, budget rightsizing actions and target operating model design. Accenture Enterprise Services for Government enable public service organizations to move from business strategy to execution at speed by linking business processes to technology with faster implementation, higher quality and lower implementation risk, and lower cost and less complexity by starting with a working solution for government transformation.